CAPITOL HILL is style meets comfort with a scoop neck, double pleat detail at the front and 3 skirt options. 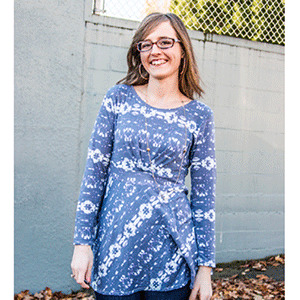 Make the Capitol Hill as either a dress or a tunic with elbow or long sleeves. 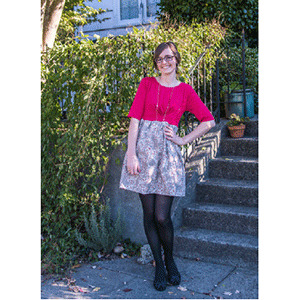 You can go for classic with a gathered skirt in both knit and woven or mix it up with a half or full circle skirt. You can also band the sleeves or just do a simple hem. 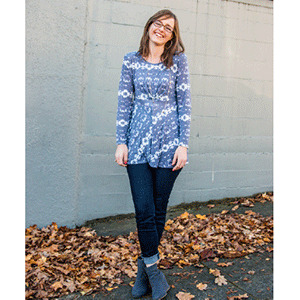 The possibilities with this pattern are endless and allow for you to mix and match the pieces to make the Capitol Hill that is just right for you and your body. So jump right in and create your daytime tunic or you date night dress. 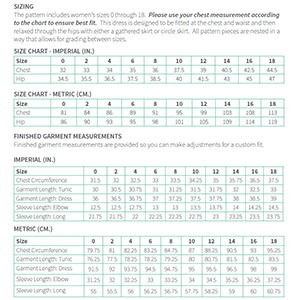 Suggested fabrics are ponte de roma, cotton lycra, cotton jersey or lycra spandex. Use a specialty woven for a gathered skirt.